Iran's Supreme Leader Ayatollah Ali Khamenei has condemned the attack on Saudi Arabia's Embassy in Tehran in early January, saying it was "very bad" and "wrong." Khamenei equated the assault to an attack against both Iran and Islam. Khamenei's remarks were published on his website on January 20 in response to violence at several Saudi diplomatic buildings in Iran that followed Saudi Arabia's execution on January 2 of Shi'ite cleric Sheikh Nimr al-Nimr. 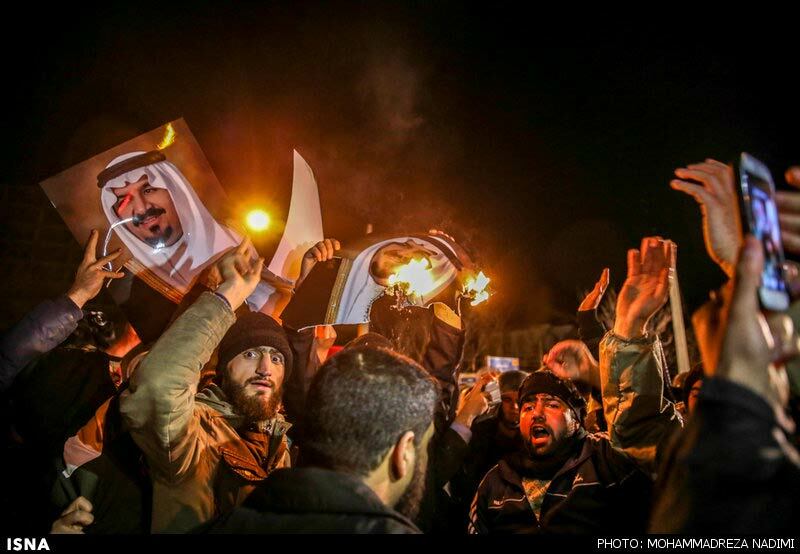 Hard-line protesters responded in Tehran by storming the Saudi Embassy, setting fires there and throwing papers on the roof. Saudi Arabia, Bahrain, and Sudan broke all ties with Iran after the violence. The United Arab Emirates downgraded its relations and Kuwait recalled its ambassador to Iran. Earlier in January, Khamenei said Saudi officials should "have no doubt there will be divine vengeance" for Nimr's death. Iran's government had called the attack "suspicious" and "in favor of Saudi Arabia's policies."